It's been a rough week and my defenses are low. Sometimes a poem arrives just when you need it. One of my favorite poems and poets popped up this week. 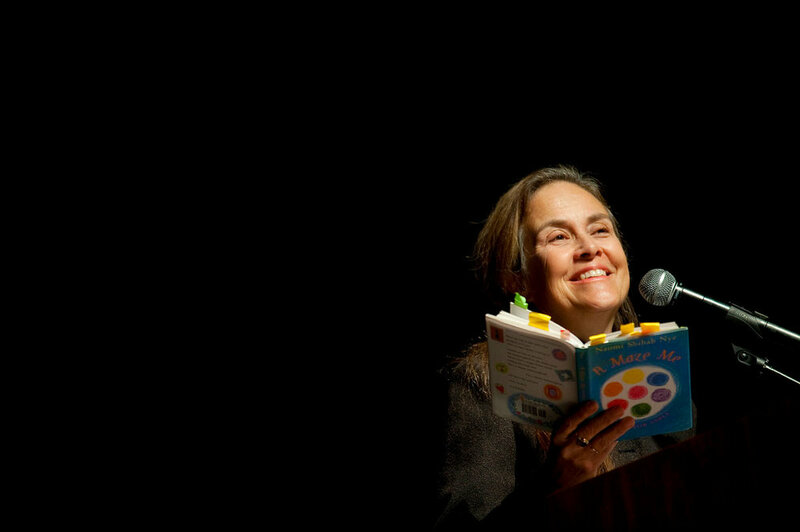 Naomi Shihab Nye was recently featured on the radio program On Being. And the interview (transcript and podcast): here. Writing things down, whatever you’re writing down, even if you’re writing something sad or hard, usually you feel better after you do it. Somehow, you’re given a sense of, “OK, this mood, this sorrow I’m feeling, this trouble I’m in, I’ve given it shape. It’s got a shape on the page now. So I can stand back, I can look at it, I can think about it a little differently. What do I do now?” And very rarely do you hear anyone say they write things down and feel worse. You could write a little and still gain something from it. You don’t have to be spending an hour and a half to three hours to five hours a day writing to have a meaningful experience with it. It’s a very immediate experience. You can sit down and write three sentences. How long does that take? Three minutes. Five minutes. And you're giving yourself a very rare gift of listening to yourself. That was just something intriguing to me that we had more than one self that we could operate out of. And I think one nice thing about writing is that you get to encounter, you get to meet these other selves, which continue on in you: your child self, your older self, your confused self, your self that makes a lot of mistakes. And then find some gracious way to have a community in there inside that would help you survive. It's Thankful Thursday and I'm filled with gratitude for poems that move me to my soft self, my best self. And you — what are you thankful for today?